November 12, 2012: one last rock of cbp crackles on the cap of a bottle of milk. This is the last day of Antoine d’Agata in Valparaiso, where he was invited by Rodrigo Gomez Rovira, director of the Valparaiso photo festival (FIFV), to participate in a workshop… Another opportunity for the photographer to enter the night, and show another side of Valparaiso. 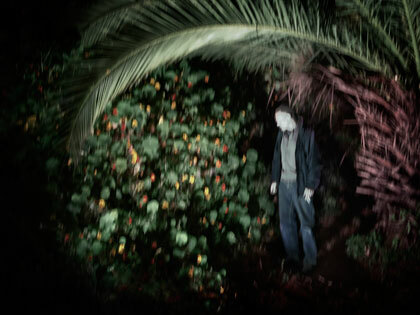 In the heart of the city, a form of epiphany is awaiting Antoine d’Agata: in the fumes and the claustrophobia of the hotel rooms, the society of the spectacle reveals its true face – cold, pixelated, and addictive. 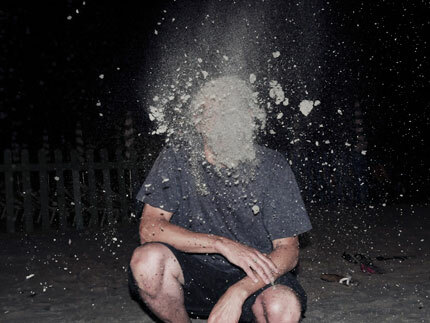 But crack also attacks the corpses, and death spreads again in the body of the photographer, recalling another experience: the encounter with the ICE, the drug which haunted the photographer during his years spent in Cambodia. 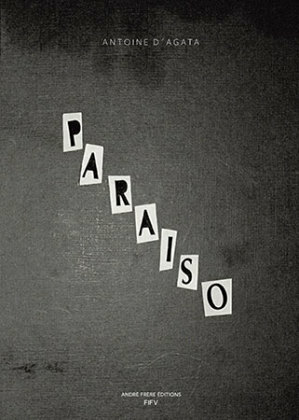 Paraiso is an experience of involuntary return of the past through drugs, putting the reader face to face with a staggering reality, the fall of the photographer in a world of virtuality that blends memories of the past and indecipherable images of the present. This is also an opportunity for Antoine d’Agata to provide a fresh perspective on his diaries, kept in the recent years in Valparaiso and Phnom Penh. In this tribute book to Sergio Larrain’s Valparaiso (through its shape, size and cover), Antoine d’Agata describes day by day his stay in Chile, interspersed with flashbacks on the Cambodian experience developed in his ICE book. Diary of an inner journey, Paraiso is written in the languages ​​spoken by Antoine d’ Agata during his stay in Valparaiso, English and Spanish.